What's the Price for the 2018 BMW X2? How Many MPG Does the 2018 BMW X2 Get? What's New for the 2018 BMW X2? 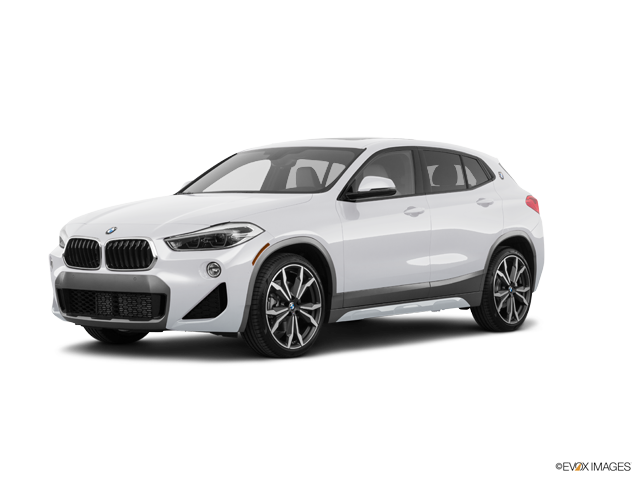 The introduction of the all-new BMW X2 sent a ripple of excitement throughout the small-crossover market. This nimble, sport SUV is a terrific value, with precise handling, spunky performance and aggressive styling. Before you buy any other small SUV, do yourself a favor and check out the BMW X2. We’ll say it in advance: You’re welcome! Like all the best BMW vehicles, X2 provides precise handling with a controlled, comfortable ride. Power is supplied by a 2.0-liter turbo-4 generating 228 horsepower and 258 lb-ft of torque, paired to an 8-speed automatic transmission with Sport and Manual shift modes. This combination delivers a 0-to-60 mph time of 6.3 seconds and top speed of 131 mph. The sDrive 28i comes with front-wheel-drive, but you can get the xDrive28i if you want all-wheel drive. Like other even-numbered X-Series vehicles, the X2 is a sportier version of its platform-mate, the X1. The look is more streamlined and muscular, without the sloping hatchback styling found on the X4 and X6. The familiar kidney grille has been redesigned for the X2, and the iconic BMW roundel makes an rare appearance on the X2’s C-pillar. Other exterior features include a high-gloss black B-pillar, LED headlights with cornering lights, LED foglights, LED rear lights, dual exhaust tips, power tailgate, optional spoiler, alloy wheels in four styles and sizes from 18 to 20 inches. Standard safety equipment on the X2 includes BMW Assist eCall w/Emergency Request, rain-sensing windshield wipers, rearview camera, five airbags, Automatic Collision Notification and stability control. The optional Driving Assistance Package includes forward collision warning with pedestrian detection, automatic high-beam headlights, lane departure warning and automatic emergency braking. You can also choose options like parking sensors, full-color head-up display, and adaptive cruise control with stop-and-go. We invite you to visit to our dealership for a test-drive of the new 2018 X2. This model is a winner that will sell briskly, so drop by today for our excellent prices and customer service. * MSRP excludes destination & handling fee of $995, tax, title, license, & registration.